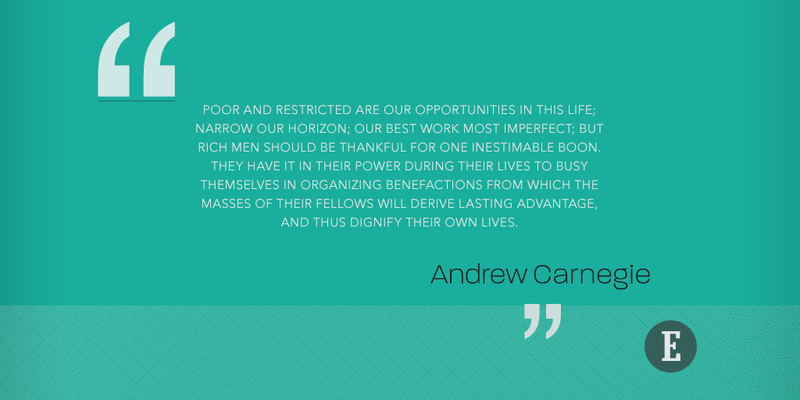 Andrew Carnegie was a Scottish-American industrialist who became one of the richest men in world history through his company, Carnegie Steel. He sold Carnegie Steel to J.P. Morgan in 1901 for $480 million -- according to Time, that number equated to more than 2 percent of the American GDP. He was worth the equivalent of $309 billion today. For context, Money ran a piece in January about the 10 richest Americans. The top three people on that list -- Jeff Bezos, Bill Gates, Warren Buffett -- had $290 billion combined. Carnegie spent the last several years of his life donating the majority of that money to universities, libraries and other public causes. He wrote The Gospel of Wealth in 1889, when he still ran Carnegie Steel, to advise others on how to best follow his lead. Here are 11 of our favorite quotes from it. On "the good old times"
"The 'good old times' were not good old times. 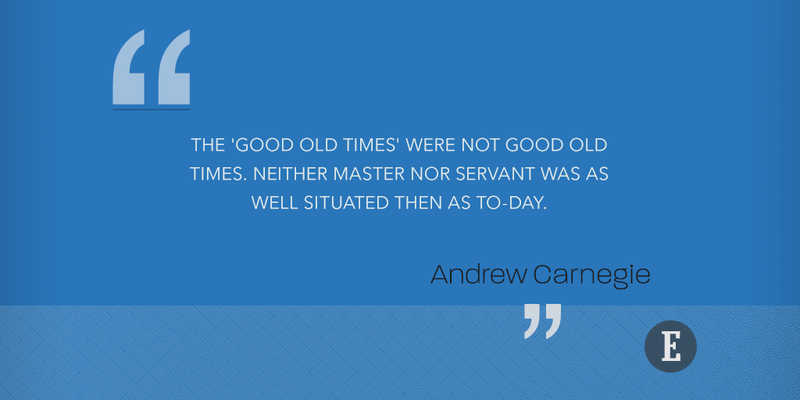 Neither master nor servant was as well situated then as to-day." 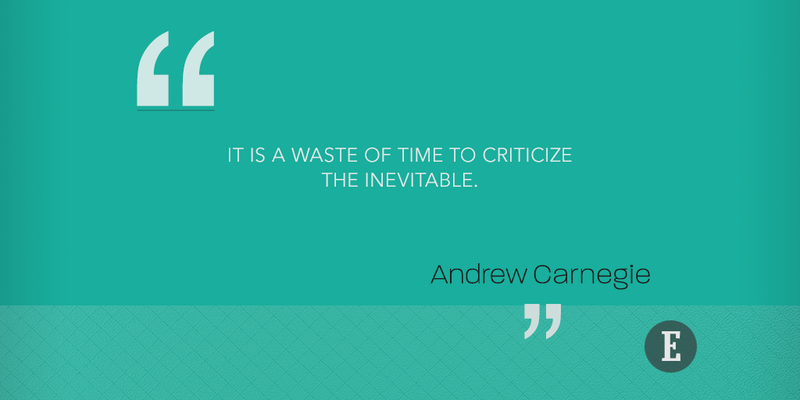 "It is a waste of time to criticize the inevitable." 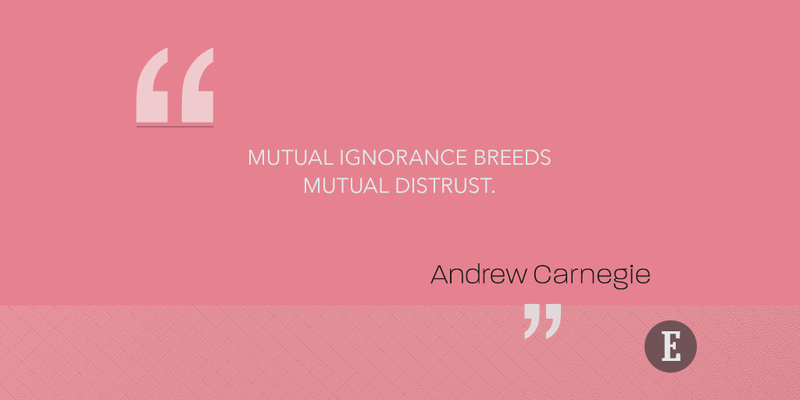 "Mutual ignorance breeds mutual distrust." 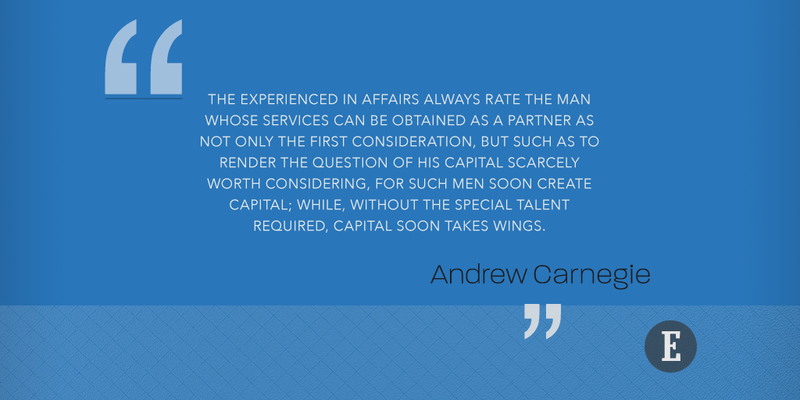 "The experienced in affairs always rate the MAN whose services can be obtained as a partner as not only the first consideration, but such as to render the question of his capital scarcely worth considering, for such men soon create capital; while, without the special talent required, capital soon takes wings." 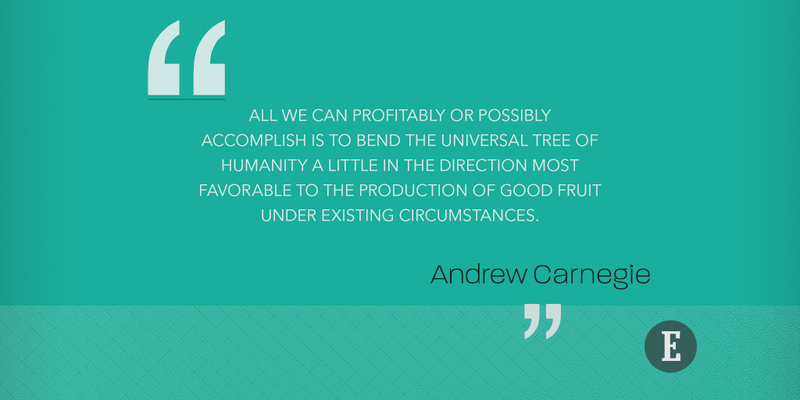 "All we can profitably or possibly accomplish is to bend the universal tree of humanity a little in the direction most favorable to the production of good fruit under existing circumstances." 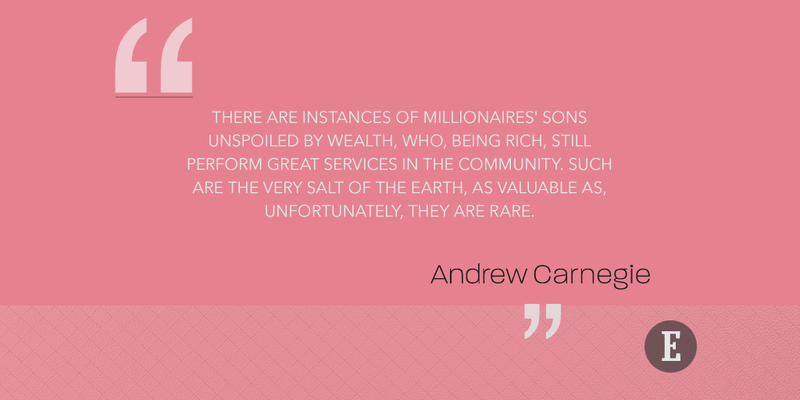 "There are instances of millionaires' sons unspoiled by wealth, who, being rich, still perform great services in the community. Such are the very salt of the earth, as valuable as, unfortunately, they are rare." 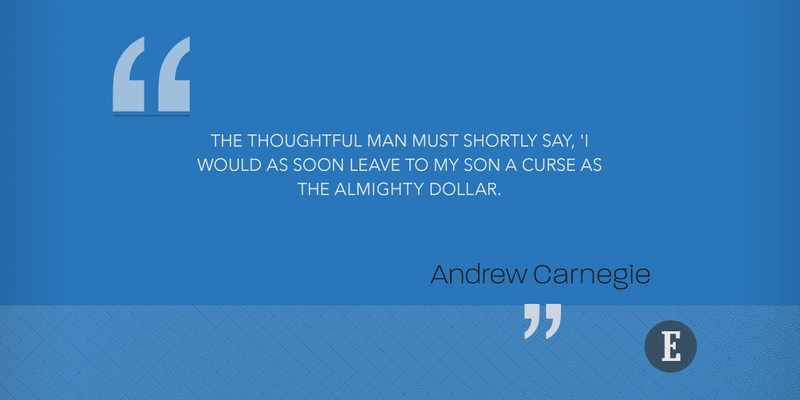 "The thoughtful man must shortly say, 'I would as soon leave to my son a curse as the almighty dollar.'" "Poor and restricted are our opportunities in this life; narrow our horizon; our best work most imperfect; but rich men should be thankful for one inestimable boon. They have it in their power during their lives to busy themselves in organizing benefactions from which the masses of their fellows will derive lasting advantage, and thus dignify their own lives." "Of every thousand dollars spent in so called charity to-day, it is probable that $950 is unwisely spent; so spent, indeed as to produce the very evils which it proposes to mitigate or cure." 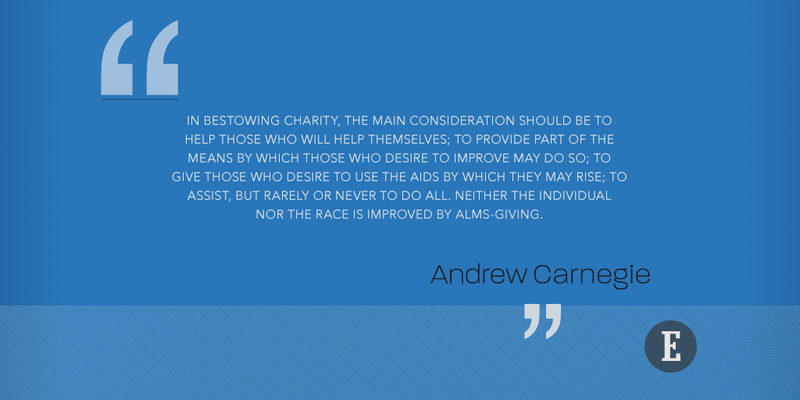 "In bestowing charity, the main consideration should be to help those who will help themselves; to provide part of the means by which those who desire to improve may do so; to give those who desire to use the aids by which they may rise; to assist, but rarely or never to do all. Neither the individual nor the race is improved by alms-giving." "The man who dies thus rich dies disgraced."